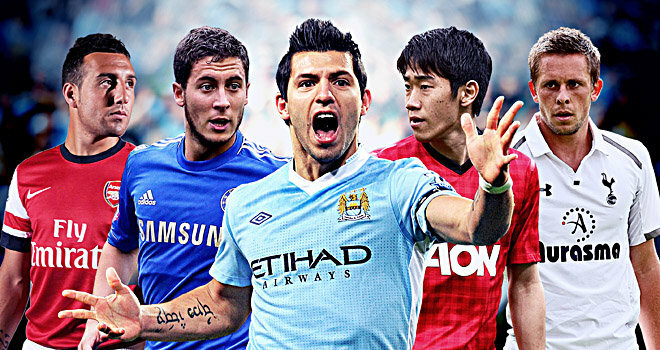 The Barclays Premier League is renowned as the best league in the world. And this season has certainly lived up to its expectations. With just over half of the season gone, the table is as close at the top as it is the bottom. Arsenal are on to a flyer and are currently enjoying their best form for a long while, Chelsea are yet to be beaten at home under Mourinho and Manchester City have scored over 100 goals in 34 games (in all competitions). Conversely, Cardiff have struggled since their promotion and have seen club favourite Malky Mackay undeservedly sacked by owner Vincent Tan. Likewise, Sunderland have been unable to capture the form they showed last season and West Ham seem to be having a reoccurring nightmare. With the top 3 teams likely to be Arsenal, Chelsea and Manchester City, the big question is who will finish fourth and claim a Champions League spot? If Liverpool manage to sign the highly rated Egyptian Mohammed Salah, with perhaps one or two more additions before the end of the transfer window and if Luis Suarez can match his goal-scoring record of 2013, I believe it is theirs. Sitting on the same points are Spurs who are also strong contenders, with Tim Sherwood now in charge and with the talent amongst the squad, you have to bare them in mind. Though they haven’t quite matched Liverpool’s goal scoring this season. Also lurking in the midst is Everton, who under Roberto Martinez have produced some fine football and shown what a threat they could be during this campaign. In addition they have introduced a hot prospect in Ross Barkley, who has set the Premier League alight in recent months. If Everton continue in their current form, again, they should not be ruled out. The current Premier League champions have experienced an unusual first-half campaign. At 7th place and 14 points adrift from leaders Arsenal, the title is pretty much out of reach. It is fair to say that Manchester United supporters are a little concerned. Almost half of the first 11 will soon be reaching retirement age and replacements will need to be brought in. The Midfield is – and has been for some time – a growing concern and one can’t help but feel that a top class Central Midfielder would go some way to restoring solidarity in their play. As a Liverpool fan, I selfishly hope United do not make the cut and finish below 4th but with Rooney and Van Persie due to come back, I think it would naive to write them off. I for one am excited for what the second half of the season has in store. Can Arsenal end their trophy drought? Will Suarez be crowned with the Golden Boot? Can Manchester United revive their campaign?